Wuqi is a coastal suburban district in Taichung with a beautiful origin. Its original name was Wucha but literati and scholars who frequented the place beautified the name and changed it into Wuqi, literally “to rest under the Wu-tong (Chinese Parasol) tree”. It is derived from a line of a Chinese poem that goes like this: “And the phoenix will rest on nothing but the Wu-tong tree”. Situated in Wuqi, Taichung Harbor Hotel features 200 elegant rooms. It is the first international tourist and business hotel at the central Taiwan coastline with a simple and stylish design. Refresh your body and mind in our comfortable and relaxing environment. 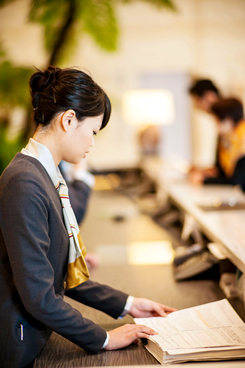 Whether on business travel or on vacation, our staff is eager to welcome all of our guests. Indulge in our tasty fusion cuisine made with the highest standards. Our multifunctional banquet halls and conference rooms are the best choice for your conferences and business travels. Stay active in our well-equipped fitness center, luxuriate in our hotel spa or simply have a good time in the piano bar and find fine Taiwanese quality goods in our hotel shop.